You are finally going to gain back your form and balance this month. The New Moon stresses tensions around possession and partnership issues, especially if there has been any secrecy about money or jointly held resources. Has a gnawing fear of instability been eating you since Uranus entered your home sign of Taurus in mid-May? 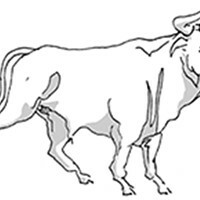 Fixed Earth Taurus does not like the status quo disrupted unless it benefits him personally. 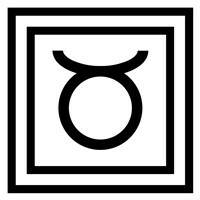 You'll find it best to reach out instead of turning inward this month, Taurus. Channel your inner nature and be there for the ones around you. As other people catch on to things you've known for a while, you have an opportunity to step into a leadership role. If you keep an open mind, and set orthodoxy aside, these next few years of your life will provide you with some beautiful and original opportunities to learn about yourself and the world. As planets gather in your opposite sign, Scorpio, it is a time to learn from your interactions and fully embody your relationships. You possess the gift of healing; in particular, helping others unravel their emotional and physical knots.